I walked across Paris from the 11th Arrondissement to Montmarte and then wandered here because it was one of the largest green spaces I could find on a map. It is so large (at 2,090 acres) and has so many different areas to spend time. I was, honestly, overwhelmed at how big and varied it was. My favorite part was the lakes, which are both wild and serene. I napped and wandered around there for quite some time. There are also numerous gardens, stables, stadiums (including famed tennis courts Roland Garros), boats to ride in, and much much more. I also met someone in the parks that ended up being a great friend, so I have fond memories of this place. 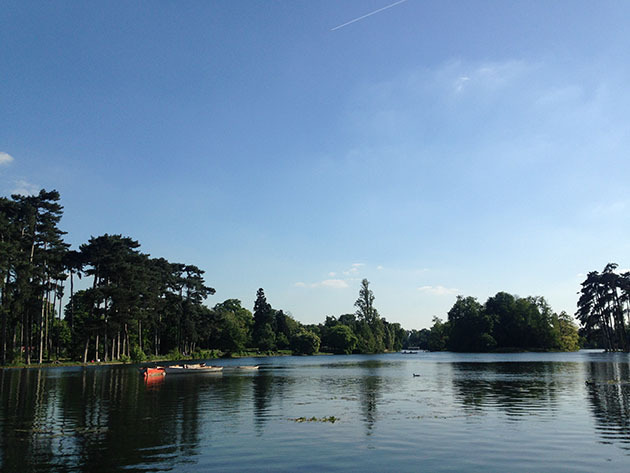 There is a downside to Bois de Boulogne, it can be particularly unsafe at night, so make sure you make your way before dark. One of my reasons for being in London was to visit two of my closest friends, one of whom was a student at London Business School, which is directly across the street from Regents. 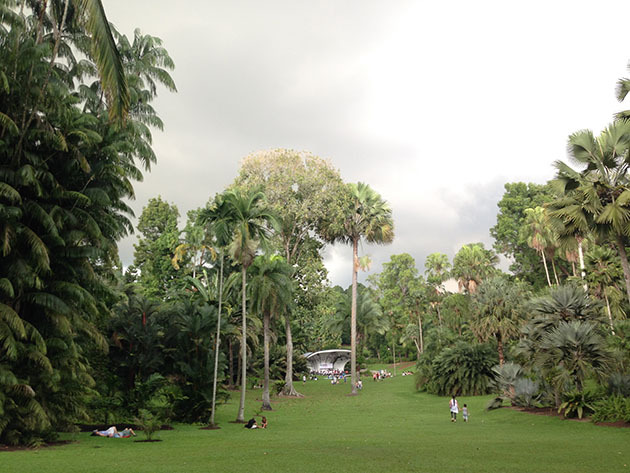 So I frequented the park, but to me it is—in many ways—the epitome of what a city park should be. There were landscaped gardens, wild gardens, fields that looked ready for play and others that looked destined for contemplation, lakes with abundant waterfowl, and countless trees begging to be climbed or sat under for a read. There are also sports going on often in one section of the park: football, cricket, rugby, even baseball sometimes. The London Zoo also resides here. Just north of the zoo and across the street is Primrose Hill, a park that climbs in elevation until you get to the far north side. When you arrive at the top and turn around, you are gifted a view of the city that is probably the best there is, at night or during the day. If you think of Ireland, you probably think of a rainy place with lots of green...and that’s pretty true. But when I made my way to this park on the west side of town, I was not ready for the beauty, nor the size. This park, at 1750 acres, just kept going and going and going. I passed the fields and gardens, then the war monument, more fields and cricket games, then on to more fields and copses of trees as far as the eye could see. At one point, I sat with my back to a tree and took a nap. Upon waking, I continued my walk to find a 200-foot tall cross where a previous pope addressed one million people. 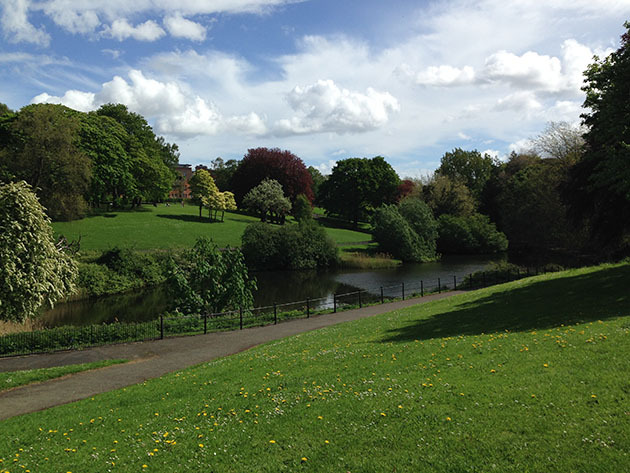 But the park is also wild; I saw a fox (which are elusive creatures) and many many deer (the grounds were the former hunting grounds for the royal family) and the Dublin Zoo is even tucked away in one corner of the park. Oh, and while I was there, it rained. Poetic. Without question, these are the most beautiful gardens I’ve had the pleasure of witnessing. The parks are a UNESCO World Heritage site, they’ve been voted the best park to visit in Asia by TripAdvisor, won the inaugural Garden of the Year Award (for the world) in 2012, etc. etc. etc. This park is the by-product of a group who understood the value of plant life—for its own benefit and for the benefit of people. Over 150 years ago, they founded the park and as it grew, they cared about the science behind understanding plants: both learning from them and treating them with the greatest care. There are countless lawns and areas to get lost in—a plumeria forest, acres of natural tropical rainforest, a series of gardens containing plants with different medicinal qualities, a ginger garden (with non-pretentious restaurants incorporating edible gingers into their fare), the largest orchid garden in the world, a forest of fruiting trees (my personal favorite), and the list goes on. This is one of the foremost places that makes me think of heaven and its majesty. On a run through the city, I saw a piece-of-pie-shaped green space a couple acres in size. I ran over to investigate and as I went further up and further in, I came to a very large expanse of land. All-told, the park is 445 acres of fields, gardens, and copses of trees that look more like the elaborate grounds for a palace than a park...and that’s exactly what they are. They were turned into a park centuries ago and Roman citizens still flock to the park today. The place is certainly one of the hidden gems of Rome, though, particularly unknown to tourists looking for traditional sites to explore. But this park is beautiful in some ways those sites will never know. 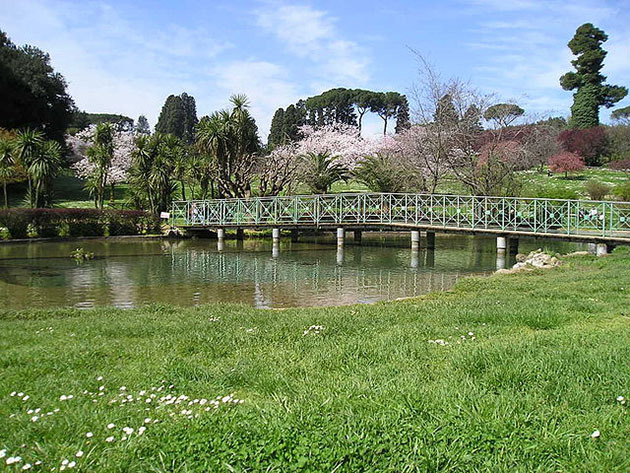 To connect with a different heart of Rome, and your own, make sure you visit this natural haven if you’re ever in town.